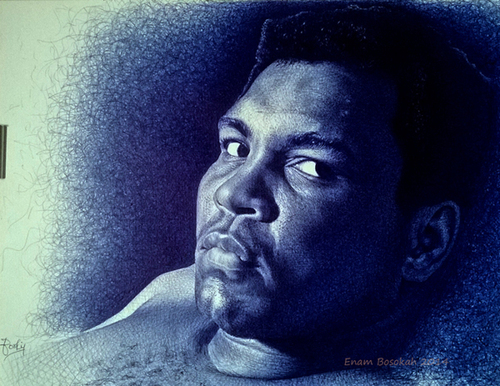 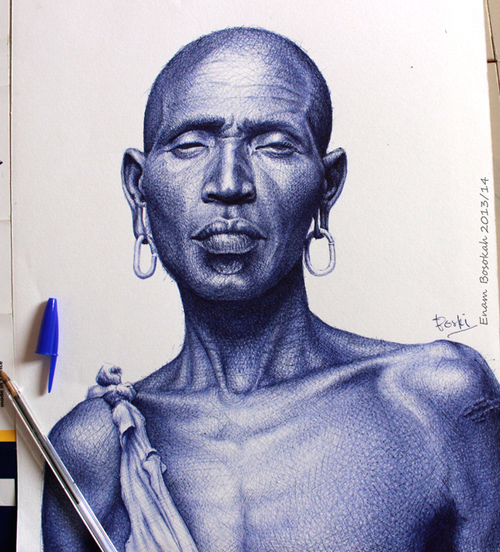 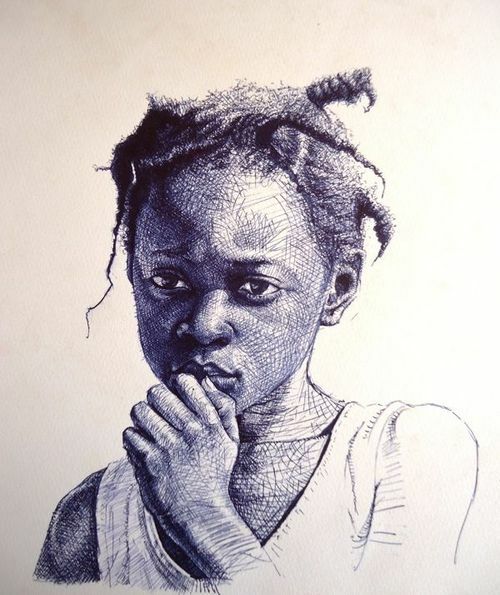 Hailing from Ghana, Enam Bosokah uses a blue biro pen to draw stunning portraits of people. 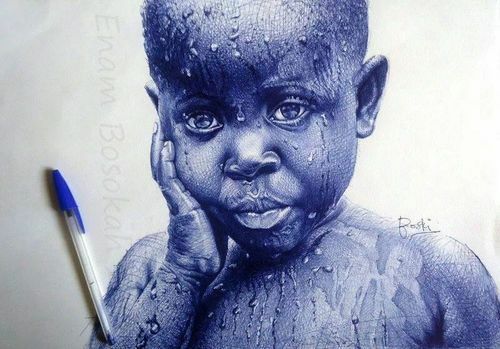 Bosokah captures the spirit of each person in these incredibly detailed portraits, taking note of their poses and expressive faces. 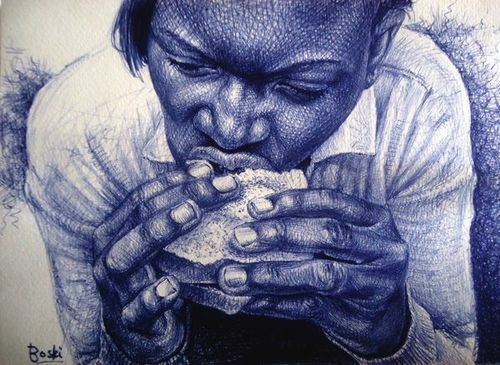 View some of his artworks below, or keep up with them on Facebook.